I decided to give up on the Belmont boot cuffs. I have been struggling with them for a while now. 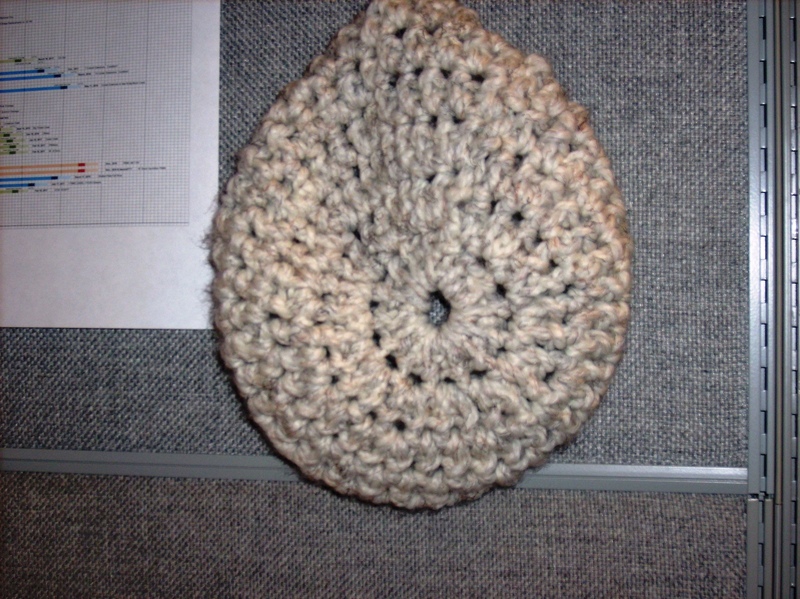 The next crochet project that I had materials for was the Bonnie beret from Rachael Oglesby’s book “Crochet Boutique”. The first try was with the recommended hook size (11.5 mm P hook). 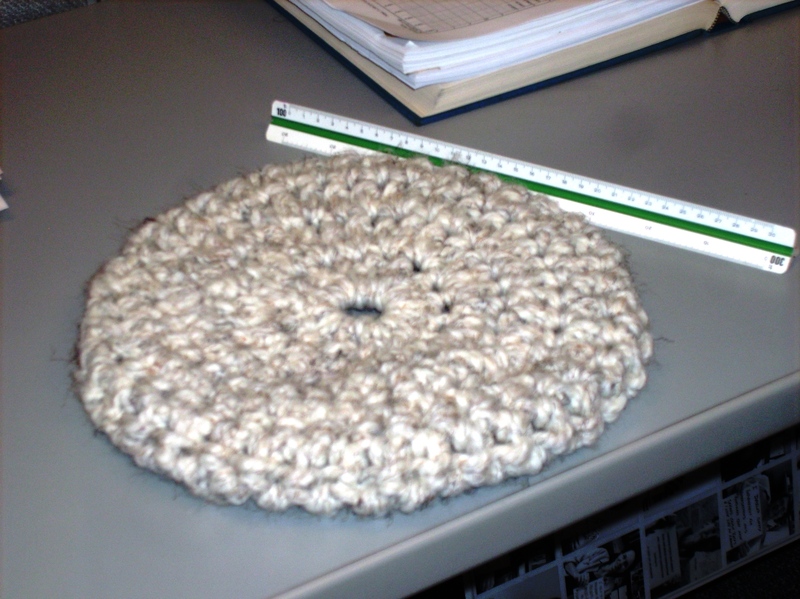 After row five, my hat’s diameter was around 9 inches. 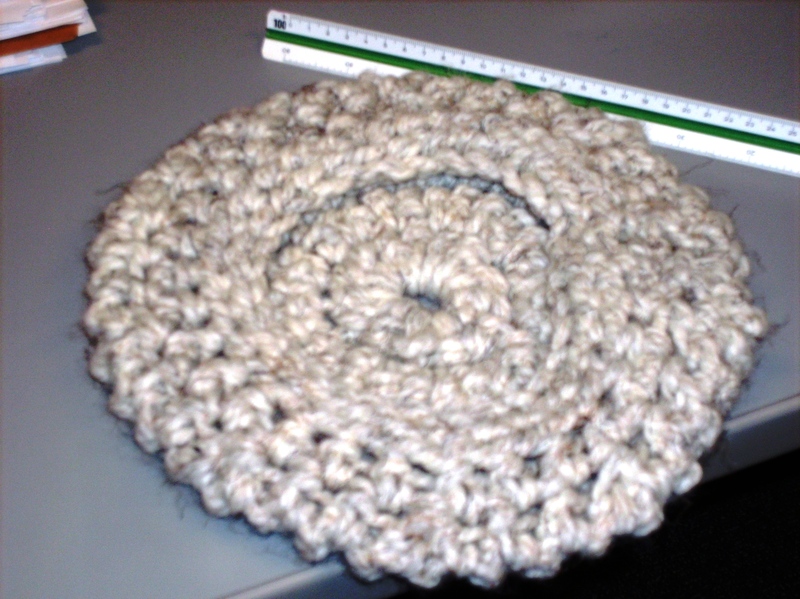 The pattern listed 11 inch diameter for the finished hat. I knew row 6 was the decrease so I decided to rip everything out and try again with a larger hook. So after getting my 15mm hook out; I tried to make the hat again. I think the larger stitches were confusing me when I started with the larger hook and I messed up several times. It took about four more tries to get the hat started. About three of those times I was trying to watch “War and Peace” with Lily James. Distractions definitely didn’t help me get started. 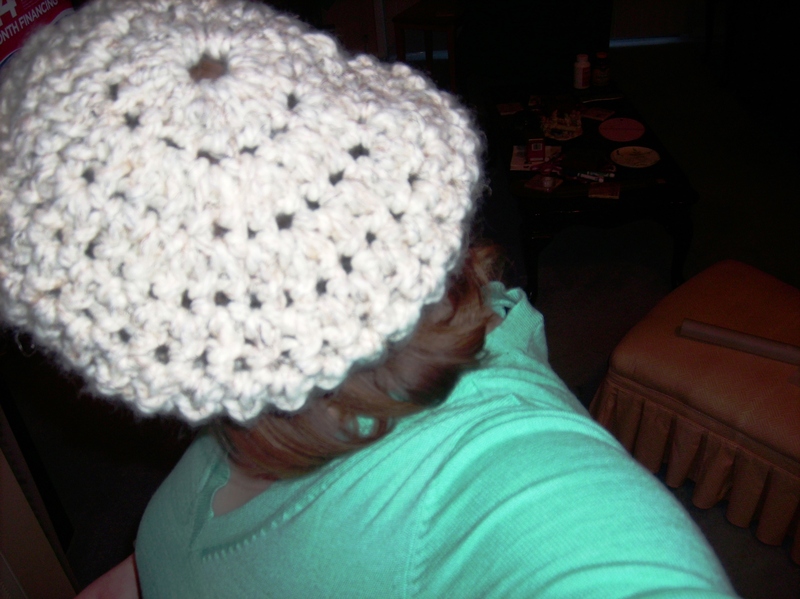 After getting started in a non-distracted environment, the hat was fairly easy to crochet. There is only nine rows. After I got started, it probably took about 2 hours on the first hat. Then I went ahead and made my mom a hat also. I think I was able to finish her hat in about an hour. Note, the ruler in the pictures is metric so the tick marks are in centimeters and millimeters. So I was just going to start on the Liesl & Co Late Lunch tunic when I did see that the middle of February, they were hosting a sew along for the Gallery tunic. I went ahead and picked up the pattern and searched my fabric stash for fabric. 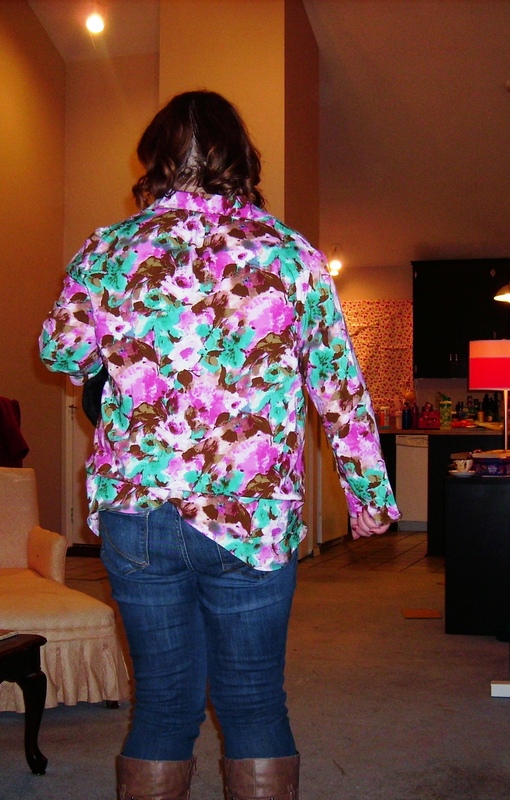 I was able to find a lovely watercolor floral rayon challis to use (and since I have six yards of it there will probably be another top too). 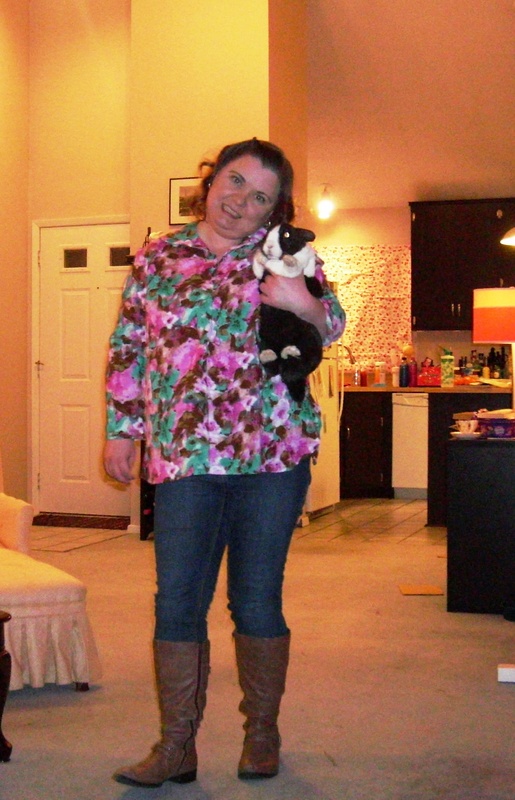 Then I went along my merry way of putting together the Late lunch tunic (it is just waiting blog photos). I used the same size I did for the late lunch (size 12). Then I went ahead and shortened the length by three inches. And I followed the instructions included in the pattern for a full bust alteration (of five eighth of an inch) after I had shortened the pattern. I had removed two inches off the sleeve length. After finishing the sleeves are still way too long. I am still trying to decide what I want to do to fix them. As for the placket, I did go ahead and hand stitch it closed a couple of inches so it wouldn’t be so low. 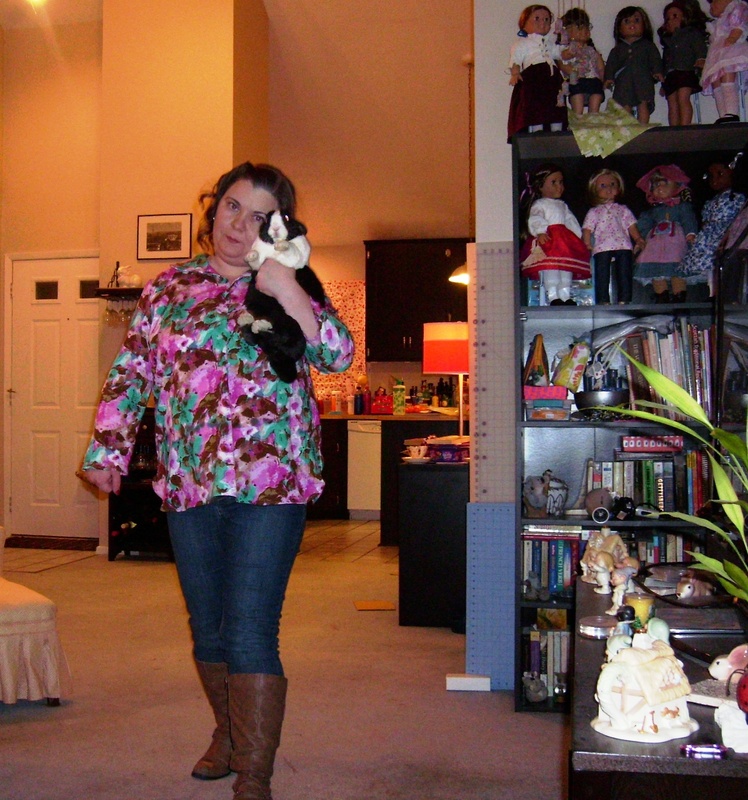 As of right now, the Late Lunch tunic and a crocheted hat are awaiting blog pictures. I would like to get the February quilt block done for the murder mystery quilt. As for future sewing projects, most of the patterns I am considering are tops such as Liesl & Co Cappuccino tunic/ dress, and Style Arc’s May and Kendall tops. Otherwise, the Pattern Review Winter Street dress, McCall’s 6696 shirt dress, and McCall’s 6844 cardigan are also being considered. I guess I will decide when I start tracing this weekend. This outfit wasn’t what I originally thought of when I picked the tan/ white quilting cotton out of the remnant bin. 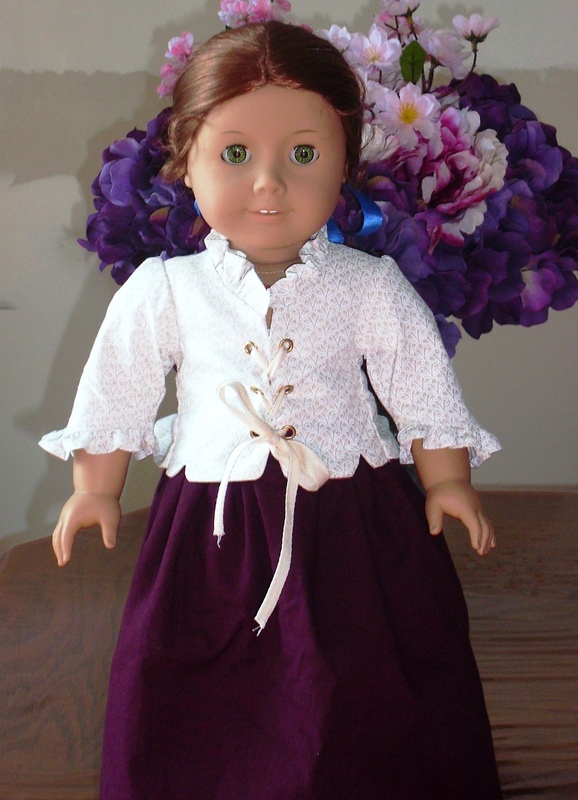 I had thought of making a dress for either Cecile, Marie Grace or Kirsten but didn’t know which one. So I put the fabric up on the shelf next to my dolls to be able to ponder who got the dress. It was then that I realized the burgundy cotton twill would make a great companion to the quilting cotton and that together they would be perfect for Felicity. 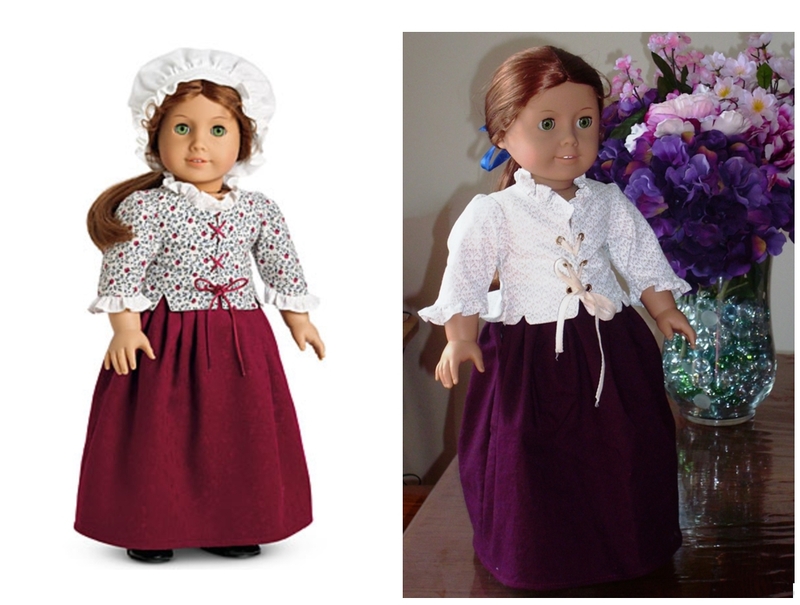 I have been more in the mood for historical sewing instead of more of a modern look so a rummage through the doll patterns yielded Pleasant Company’s Felicity’s pretty clothing. The collection includes Felicity’s holiday dress, school outfit, couple of caps, underwear and night shift. As for the skirt, there are a lot of tiny pleats (not in width per say but more in length if I was to guess say around half an inch). I did baste the pleats in but I think in future I would make the starting length longer to make it easier to apply the waist band and iron. The waistband was probably the biggest “design” change I made. I really didn’t want the double closure at the waistband. On the first side, I sewed the side seams with basting at the pocket area. I followed the pattern’s recommendations for the second side. The jacket pieces went together very well. There is also a lining for the bodice pieces so most of the inside of the jacket is clean finished except for the side seams and the sleeve seams. My little tip for how I did the sleeve and neck ruffle is that I zig-zag stitched the edge first then turned under twice using the zig-zag width as my guide for turning under. That worked out very well. I do have a rolled hem sewing machine foot but I have difficulties using it. 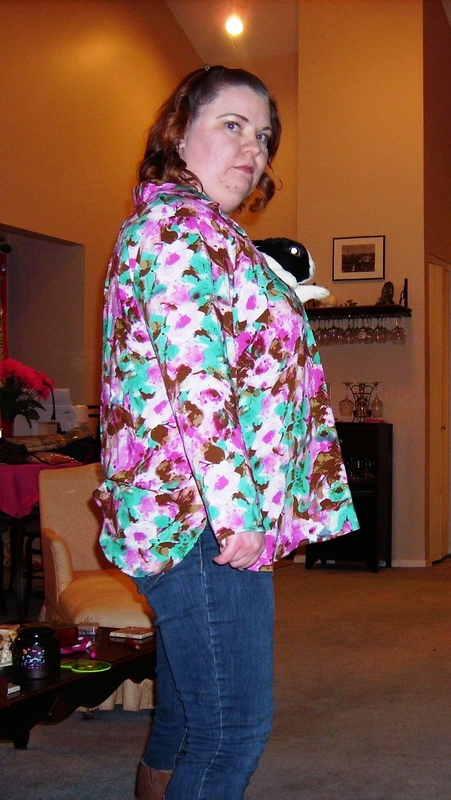 The jacket pattern recommends eighth inch wide eyelets. To be honest, I don’t think you can find one of those. Even if one could, would you be able to find the tool to insert the eyelets with? Anyways, I ordered eyelets off of an Etsy store that has doll items. I was able to get quarter-inch eyelets. Since my eyelets are larger size, I reduced the number of eyelets from five to three. It was kind of scary inserting them because you cut the slit in the jacket. So one wrong snip and the project is ruined. I was lucky enough that I didn’t have any mishaps. In case it is needed, my sleeve ruffle piece was 12.5 inches long. 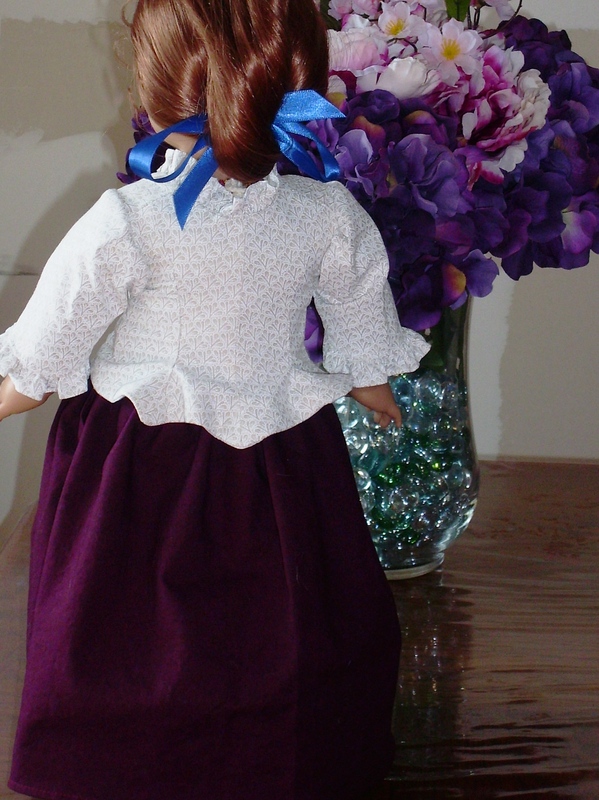 The neckline ruffle piece was 20.75 inches long. Here is the side by side comparison for anyone interested. 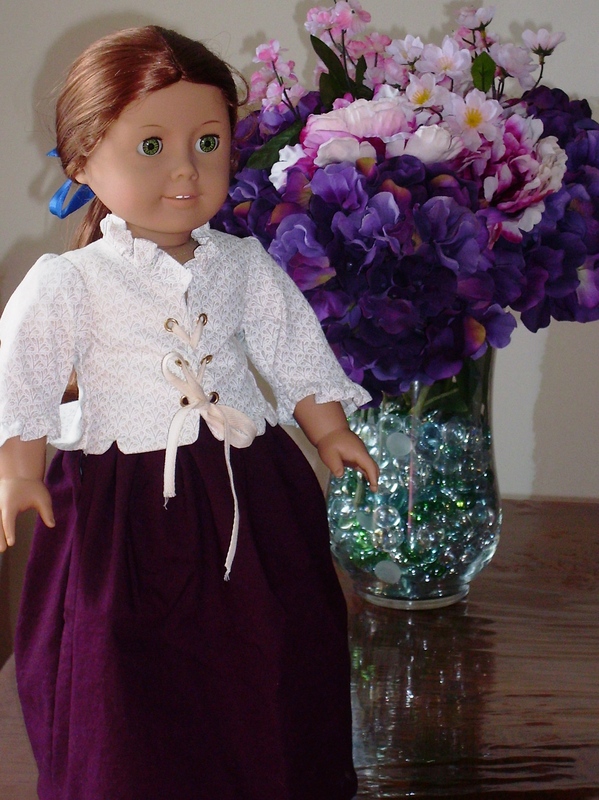 Next project up is Liesl & Co Late lunch tunic. So there will be a break from doll post for a while.